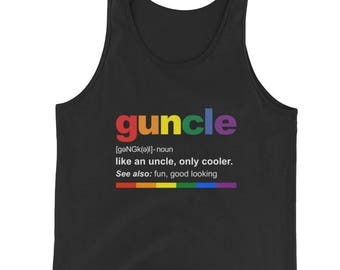 Do you have a numero uno gay uncle? Let him know he's your numero uno guncle with this shirt. An ornate frame displays your favorite uncle's status as numero uno with a rainbow-colored guncle he can be proud of wearing as a gift from his favorite niece or nephew. 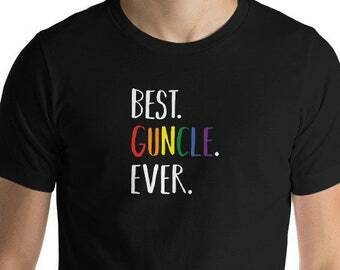 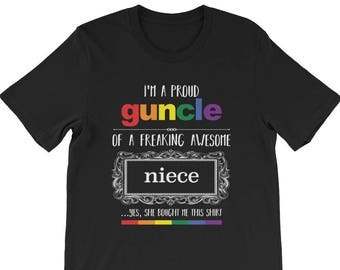 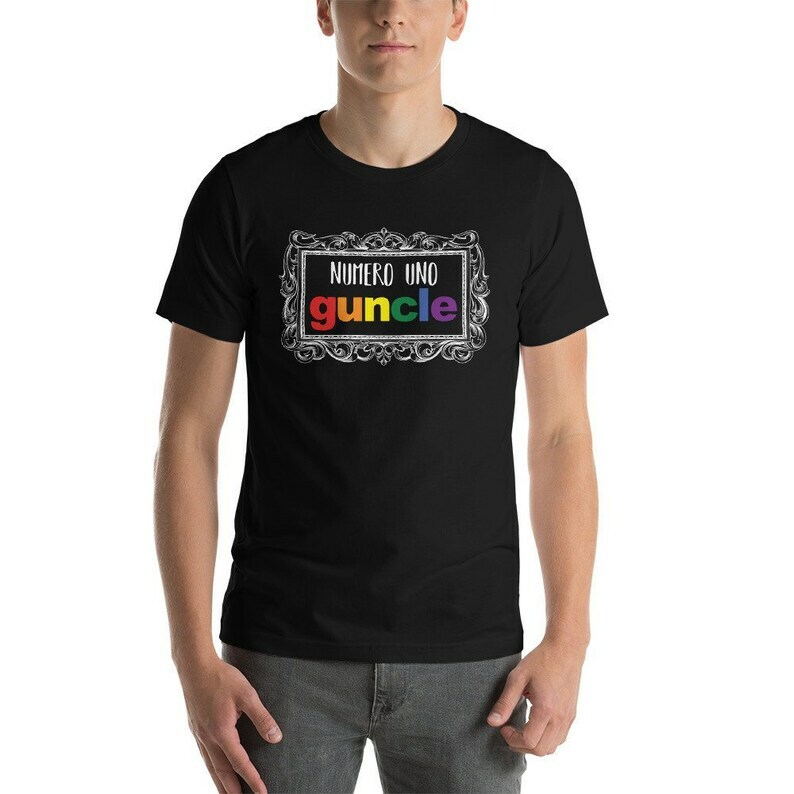 Treat yourself or a special uncle with this fun numero uno guncle shirt great for pride and family celebrations. 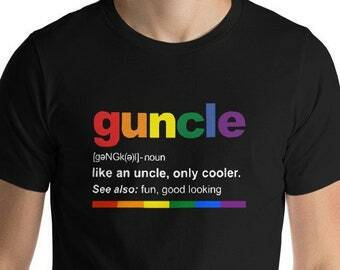 It's the perfect gift for a new uncle from any niece or nephew. Surprise your brother with the news of a new niece or nephew. Bought this as a bday gift for my brother and he absolutely loved it. Communication with the store owner was great, he was very helpful and sweet.